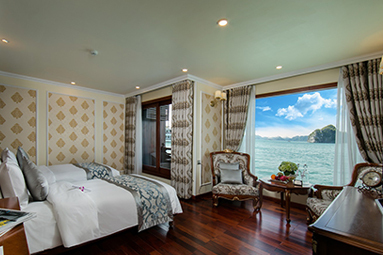 We are the largest, most luxurious & uniquely-designed cruise in Ha Long Bay with only 8 all-ensuite cabins with full ocean views, private balconies, butlers on board, and limousine services. The smallest cabin is 43m2 and the largest cabin is 72m2, including balcony. 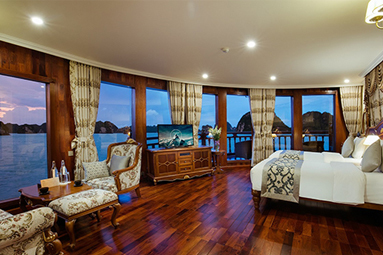 The boat is like a small version of the country of Vietnam, with 8 suites named after 8 villas of the Emperor Bao Dai, which were located throughout Vietnam, and where clients can enjoy music, fine art, architecture, culture, cuisine and the history of Vietnam. 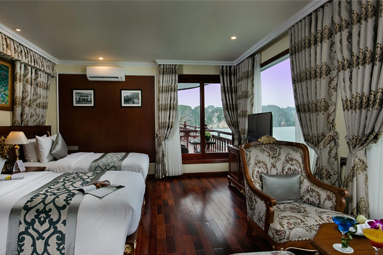 In addition to 8 cabin suites, there is a gym, spa & massage, Panorama restaurant, bar & lounge, Hanoi Bar 1945, library, kid’s club, and Can Chanh Palace Restaurant. 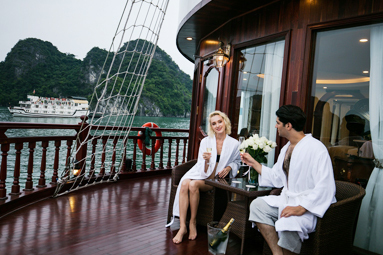 A different cruising experience in Bai Tu Long Bay with an all-inclusive concept. 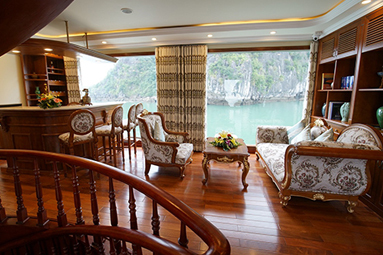 The first Art Cruise in Vietnam and Ha Long Bay. The boat has the safest certificate SB & passenger insurance. 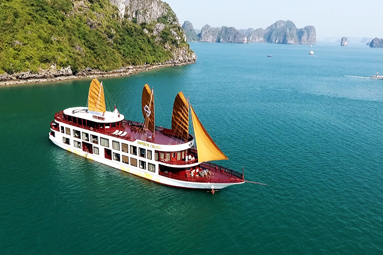 It is the newest-built luxury cruise, constructed from steel and wood.